I’m always quite hesitant to dive into YA contemporary because I don’t think it’s my type of genre. It sometimes reads as quite cheesy and the romantic relationships tend to be super cringe-worthy. But every once in a while I hear of a contemporary that stands the chance to defeat these expectations and make me fall head-over-heels in love with the genre. I thought When Dimple Met Rishi would be that book but, alas, it is not. 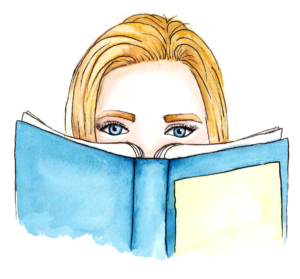 I was really drawn by the tech-loving, nerdy protagonist and, whilst the novel was fun, easy reading, I was left quite underwhelmed by the end. Of course, there were many cheesy moments, but more than that, this novel had the opportunity to discuss really meaningful topics. Instead, it just became another YA contemporary filled with teenage angst and less than interesting characters. When Dimple Met Rishi tells the story of an Indian-American teenager, Dimple Shah, as she spends her summer before university attending a web development program. She is passionate about technology and takes her education seriously, not allowing it to be overshadowed by her family’s desire to find her an “Ideal Indian Husband”. However, she soon discovers that her parents have allowed her to attend her dream summer program because Rishi Patel, her prospective future husband, will be attending as well. Whilst Dimple refuses to give in to her family’s wishes, Rishi wants nothing more than to follow the plan set out by his own family. Over the course of the summer, Dimple and Rishi are forced to work together in their program, confronting each other as well as themselves as they attempt to reconcile the expectations of their families with their own dreams. Upon finishing When Dimple Met Rishi, I realised that I initially expected it to be a novel that it’s most certainly not. The synopsis had me believing that the novel would focus heavily on Dimple’s passion for web development and her dreams to do well in her education. I also got the impression that these were crucial parts of her identity and thought that Dimple was the kind of character that would not allow her life goals to be diminished by a summer romance but, oh, was I wrong. Don’t let the synopsis fool you – the romance practically takes centre-stage in this story and Dimple isn’t the character Menon tries to make her out to be. Whilst Dimple is sold as an intelligent, tech-loving nerd, she only acts as such for maybe two pages. For the rest of the time, Dimple focuses on her developing relationship with Rishi and we barely see her nerdy side in action. Everything that made her character interesting is ironed-out by her growing attraction towards him, making her shift from intelligent and determined to dumbed-down and unassertive. Of course, Dimple is becoming a young adult and so I can’t completely blame her for shifting a bit during this transitory time in her life, but she becomes practically unrecognisable. One moment she is a strong-willed character defiantly opposing her family, and the very next moment she is head-over-heels for Rishi. Really? Although I found myself not entirely enjoying Dimple’s character, I felt the complete opposite way when it came to Rishi. He is without a doubt a “nice guy”, always looking to make Dimple feel comfortable and respected and even going out of his way to do small things that make her smile. Although he does often say a few cheesy lines that left me cringing, it was great to read about a male character that did not fit into the “bad boy” trope. What made Rishi particularly interesting is that although it seems that he has it all together, he really doesn’t. Dimple has created a plan for her life whilst Rishi is following the blueprint drawn out for him by his parents. However, this prevents him from living his own truth. Rishi is a talented artist but pushes aside his dream of illustrating comic books to fulfil his parent’s wishes of becoming an engineer. He spends a lot of his summer with Dimple contemplating his future and which path to follow. I really enjoyed this part of the story because most teenagers go through a time where they are unsure how to navigate between their own dreams and what their parents wish for them. Rishi is quite a complex character. I just wish I could say the same for Dimple. Despite the issues I have with this story, there is no denying that Sandhya Menon is a talented writer. I enjoy her free-flowing style and chatty tone and didn’t find myself overwhelmed by unnecessarily verbose language. When Dimple Met Rishi may not have been what I hoped, but it’s a good debut nonetheless. Menon has a unique voice and perspective in the YA contemporary genre and even though I would have liked to see that shine through more, she gave me a good taste of what’s to come in her future books. At least now when I go into them I’ll know to expect a lighter, fluffier read than what I had in mind for this novel! 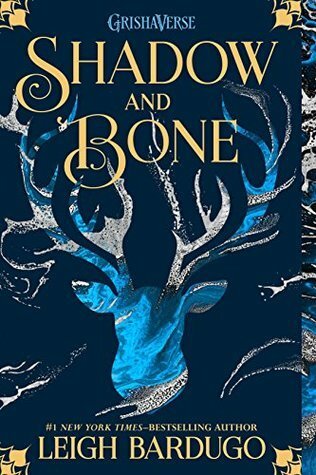 Sometimes us readers let our expectations for a book prevent us from reading it with a more open mind and I think this was definitely the case with me when it came to When Dimple Met Rishi. It’s not the nerdy contemporary I wanted but rather a teenage rom-com. Had I known that going into it I probably would have enjoyed it more. But despite the sometimes cringy romance and Dimple’s disappointing character, this novel does a great job of illustrating the difficulties of growing up and taking the next big step in a young person’s life. Whilst not being the best novel, it is certainly a story that many young adults can identify with. 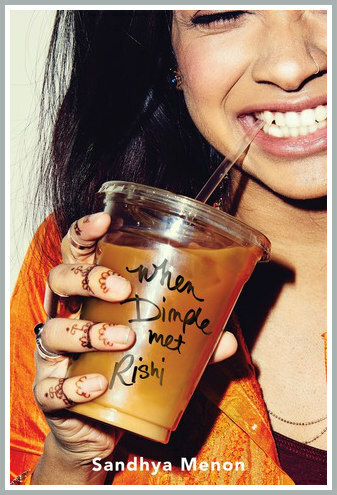 HAVE YOU READ WHEN DIMPLE MET RISHI? WHAT DID YOU THINK? COMMENT DOWN BELOW AND LET’S TALK ABOUT IT!